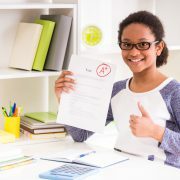 Earning a 30 or higher on your ACT places you in an elite group of high school students: A composite score of 30 means that you scored higher than 94% of test-takers, putting you at the head of the line for admission at premier colleges. 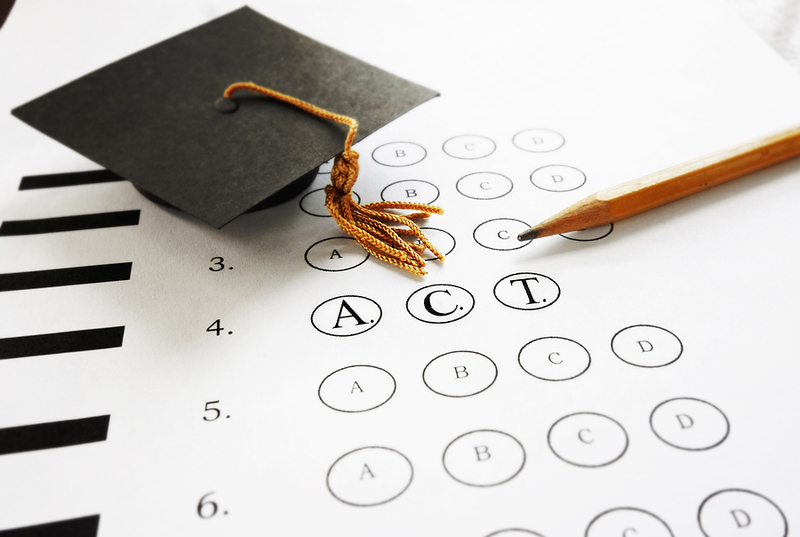 Boosting your ACT score that high is no easy feat. Here are a few tips to help you get a 30 or higher on the ACT. If you haven’t taken an official ACT in the last month, you’ll need to take a practice test to figure out where your score stands now. A practice ACT will tell you how much of a score improvement you need to meet your goals, helps you identify your specific strengths and weaknesses, and informs the rest of your study plan. 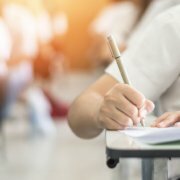 For a practice ACT to be useful, it has to accurately reflect your ACT performance, so it’s important to replicate test day conditions as much as possible. Time yourself on each section. One of the biggest challenges on the ACT is the time limit – the ACT can often feel like a sprint. If you don’t time each section, you won’t get an accurate idea of how you’d do on the real test. Pick a quiet testing area. On test day, you’ll be in a room with no talking, no television, and no music. Try to replicate the silence as much as possible. If you can’t find a quiet area, consider putting in some headphones with some white noise playing. It’s not ideal, but it will help to reduce distractions. Try to test early in the morning. You’ll take the official ACT bright and early on a Saturday. How you perform first thing in the morning is probably pretty different from how you might perform in the afternoon or evening. For the most accurate test results, aim for an 8:30 AM start time. C2 Education’s centers create a separate testing room to help replicate test day conditions. Contact your local C2 center to schedule a practice ACT administered under realistic testing conditions. Composite Score: This is the average of your four section scores. You’ll want to figure out how far you need to improve your composite score in order to get above 30. After all, a 2-point increase will usually require less time and effort than a 6-point increase might. Section Scores: Which subject(s) did you score the best in? The worst? These scores help to identify the areas where you’re already pretty strong and the areas where you need the most work. It’s harder to gain points and easier to lose points in subjects where you already score well. This means that you can’t overlook your strengths and focus exclusively on your weaknesses! If you skip the areas where you’re strongest, you risk losing valuable points by allowing your skills and knowledge in those areas to atrophy. The subjects where you’re strong certainly shouldn’t be your biggest focus, but you need to dedicate some study time to them regularly. Schedule your study time. You have plenty of other obligations that you work around – yearbook committee meetings or soccer practice or babysitting gigs. Prioritize your ACT prep just as you would any other commitment by writing it down on your calendar (or, more likely, entering it into your calendar app). Make your ACT prep a time commitment that you have to work around rather than a thing that you need to fit into your schedule. Make sure your study schedule is realistic. Creating a demanding study schedule that you can’t stick to won’t help boost your score, and you’re more likely to let ACT prep slide the further away from your planned schedule you get. It’s better to schedule in a few 20-minute prep sessions that you’re sure you can commit to than to schedule multiple hour-long prep sessions that you’ll struggle to follow through on. Find resources and study guides that suit your learning style. Maybe you prefer videos to text; maybe you need more practice questions than instructional materials. There’s a wealth of ACT prep resources available – explore your options and pick the ones that work best for you. Consider an ACT prep tutor. A good ACT tutor can help you to master fundamental knowledge and skills that will boost your ACT scores and create a foundation for future academic success. Look for a tutor who will offer individual attention and customized tutoring – every student has different test prep needs, so every test prep program should be different, too. Contact your local C2 Education center to learn how C2 can help you achieve your ACT score goals. Skip the hard questions and come back to them. This helps you get all of the low-hanging fruit – the questions you can definitely get right – instead of wasting precious time on really hard questions that you might get wrong anyway. Always guess. There’s no guessing penalty. A random guess has a 25% chance of being right, but a blank question has a 100% chance of being wrong. Wear a watch. Pay close attention to the time remaining on each section so that you can pace yourself accordingly. Break things down. For example, instead of thinking of the English section as a 45-minute section with 5 passages and 75 questions, think of each passage as its own section. Give yourself 9 minutes to tackle each passage, and then move on. Some strategies that work really well for one student backfire for another. Take some practice tests to try out different strategies so that you know what works for you on test day. Unless you’re really down to the college application wire, you can take the test again. If you put too much pressure on this one test, you risk second-guessing yourself or freezing up and mistiming your sections. Try to relax. Do your best. Take things one question at a time. Are You Ready for the February ACT? Don't Forget About Test Prep Over Winter Break!